As a sufferer from sensitive skin, I have to be careful about the products I use as I'm often prone to breakouts. Recently, I had one of my worst yet and one of my friends recommended trying out some products from the Body Shop so that's exactly what I plan on doing. The products I have picked up are the Tea Tree Toner, Tea Tree Body Wash, Seaweed Face Wash, Seaweed Face Mask, Aloe Vera Day Cream, Aloe Vera Night Cream and the Vitamin E Body Lotion. The reason I went for these products is because the Tea Tree ones are perfect for blemished skin, the Seaweed products are suited to combination/oily skin, the Aloe Vera are suitable for sensitive skin and the Vitamin E body lotion helps hydrate the skin. Over the coming weeks, I'll be posting reviews on all of these products so be sure to keep your eyes peeled! 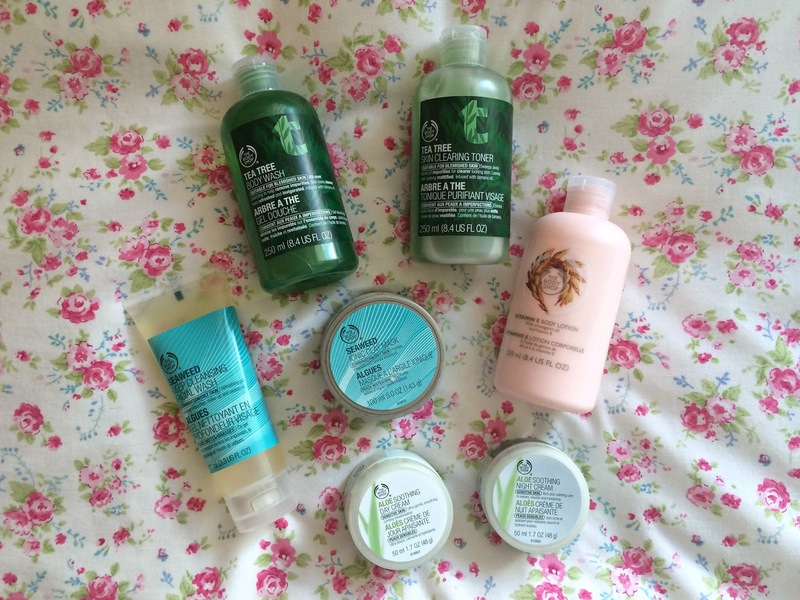 What product would you recommend from the Body Shop range?